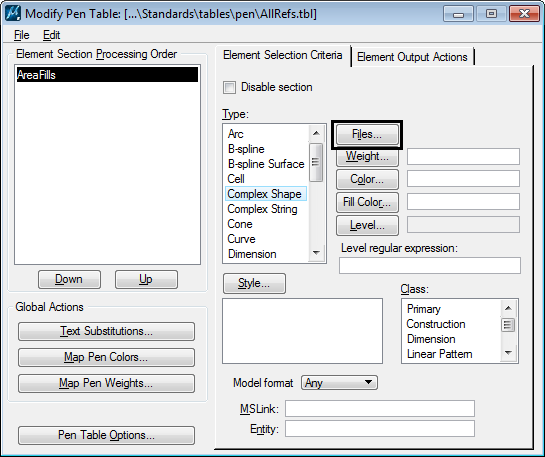 In some cases you want your Pen Table actions to get applied to all reference attachments when printing. An easy way to ensure this is to define a large Slot Number range. As part of the Element Selection Criteria select Files… to define the reference attachments to search. 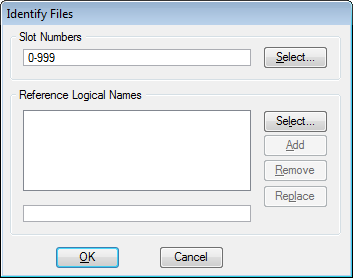 In the Identify Files dialog enter 0-999 for the Slot Numbers. This will search for and select elements in the master file and all of the attachments. That is unless you have more than 1000 reference attachments. In that case, we may need to have a conversation about your workflow. Or then you could just leave it empty, which defaults to it applying to all references. Works for all other selection criteria as well, empty == all. I thought that too, but I haven’t found that to be the case in all situations. I have files that won’t apply area fill changes to shapes in reference attachments unless I specifically specify all references in the pen table.